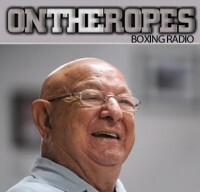 “On The Ropes” Boxing Radio is back once again this week with host Jenna J to cover all the hottest news in the sport of boxing. In this episode I will talk about the recently announced rematch between Manny Pacquiao and Timothy Bradley, which is set to take place on April 12th at the MGM Grand Garden Arena in Las Vegas, Nevada. The bout is highly anticipated, as the first fight was shrouded with controversy, and now two years later both fighters are out to leave no doubt as to who the better fighter is. I’ll be talking about the different factors that will make this fight different than the first, and who has the advantage going into the rematch. Aside from that, I will be previewing upcoming bouts between Victor Ortiz and Luis Collazo, as well as the return of IBO/WBA middleweight champ, Gennady Golovkin, as he takes on Osumanu Adama this Saturday. Just click on the audio player to listen to the show! 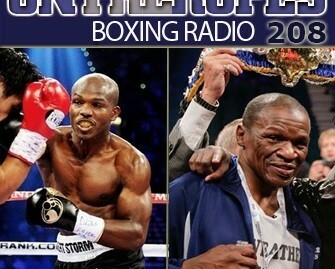 The first guest on this episode is WBO welterweight champion, Timothy “Desert Storm” Bradley. Bradley is one of the top pound for pound fighters in the world, and is coming off an impressive year in which he defeated both Ruslan Provodnikov and Juan Manuel Marquez. 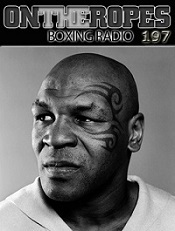 Timothy comes on the show to give his initial thoughts now that he is officially set to fight Manny Pacquiao. He discusses the negotiations that took place to get the deal done, as well as the significance that this fight has to him and his career. “Desert Storm” also talks about how he plans to emerge victorious a second time over Pacquiao. 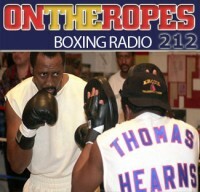 The second guest on the show is one of the most well known trainers in the sport, that being Floyd Mayweather Sr. Floyd talks a little about the new boxing reality show he is currently filming titled, “Knockout.” Aside from this, Mayweather gives his views on Pacquiao-Bradley II and also talks about Adrien Broner and his desire to get an immediate rematch with Marcos Maidana. Lastly, Floyd Sr. speaks on Freddie Roach winning the BWAA trainer of the year award, and if he feels Roach deserved the award. 17 Responses to "Timothy Bradley talking about ending Pacquiao’s career. Floyd Mayweather discussing Bradley-Pacquiao & more. 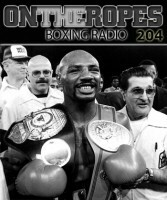 “On The Ropes” #208 Interviews!" Well… When it comes the accolades after this fight…. I think its something like how the people reacted on sugar ray and duran 2nd fight. Of course he can redeem himself (TIM) if he wins but he will never really get the full respect or accolades of the fans when it comes to Pacquiao,, if he just win. Now… if he wins by a very huge margin or a knock out, that is different. Maybe he’ll get what he wants out of the fight, not just to close this chapter in his career. So with this, i’m going to comment on his statement on Pac needing to win this fight more than him… I think TIM is just trying to make it easier for him to come up with a reason if he loses. In my view, the PAC really doesn’t need to prove anything else at this point. 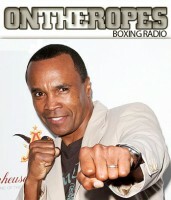 He is just here to entertain boxing fans. That is the only, kick, that the PAC is still longing for. Not the money, not the accolades, not to better build the his legacy and not even the fight with Floyd nor Marquez. He really just want to entertain people because people still want to watch him. In one interview PAC in somewhat said, a couple of years back. “I can actually leave the sport of boxing and be satisfied with my boxing career and just continue to serve my country men as a public servant in the government and as very religious / spiritual man.” Boxing has just got nothing to offer the PAC anymore, except to continue entertaining people and make fans like me to forget, even just for a day, my own challenges / problem in life. Bradley will face real Manny this time. Last time, Manny didn’t punch hard to Bradley because Bob Arum told Manny to don’t knock out his future cash cow. Bradley told Manny punch didn’t hurt him and not strong as other say. I strongly believe the last fight was fixed by Bob Arum. I hope Manny won’t be wasted time in coming fight. Good luck Bradley, I hope your face will look like Margarito’ face after fought with Manny. bradley is so ugly. like ewoks. Tim can’t defeat Pacquiao, not even close. Desert Storm is gonna emerge victorious once more!!! TBE WILL PEE ON HIS PANTS ONCE PACMAN KO THE DESERT STORM. Love the show – please consider getting a better microphone… that is all.